The makers of Absolut Vodka unveiled their newest Magic City-inspired blend and presented a $50,000 donation to the City of Miami at a reception on January 18, 2012 at Miami City Hall. Mayor Tomas Regalado received the check on behalf of the Miami Arts and Entertainment Council. 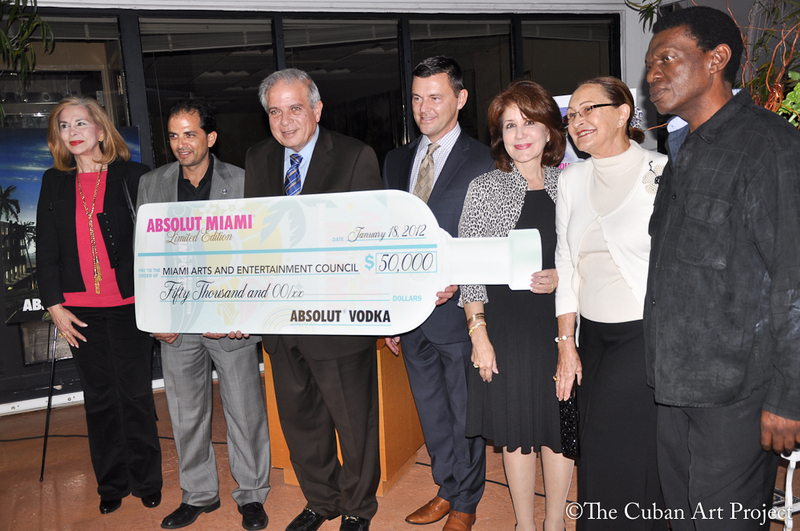 Mayor Tomas Regalado receiving a $ 50,000 donation made by Absolut Vodka on behalf of the Miami Arts and Entertainment Council. The Council’s mission is to encourage, coordinate and enhance the development and promotion of quality art and entertainment of every variety and to foster creative endeavors throughout the community to position Miami as a leading international center for art, culture and entertainment. 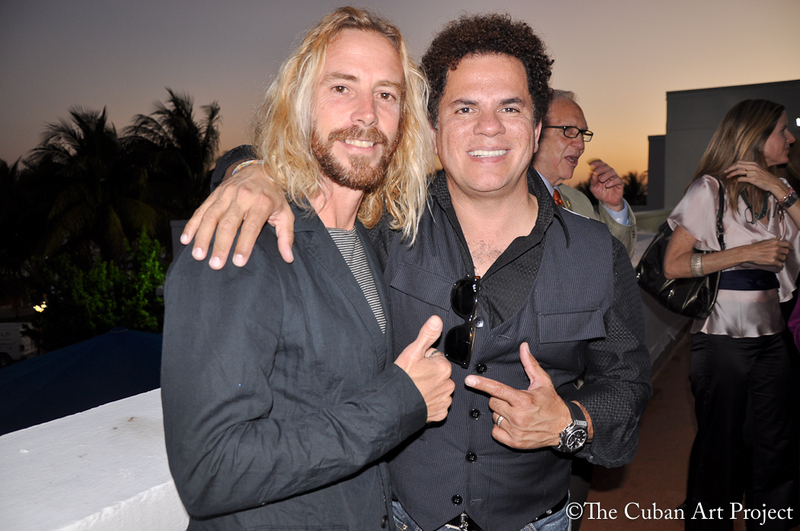 Special guest of the evening was Brazilian Neo-pop artist, painter, serigrapher, and sculptor Romero Britto.